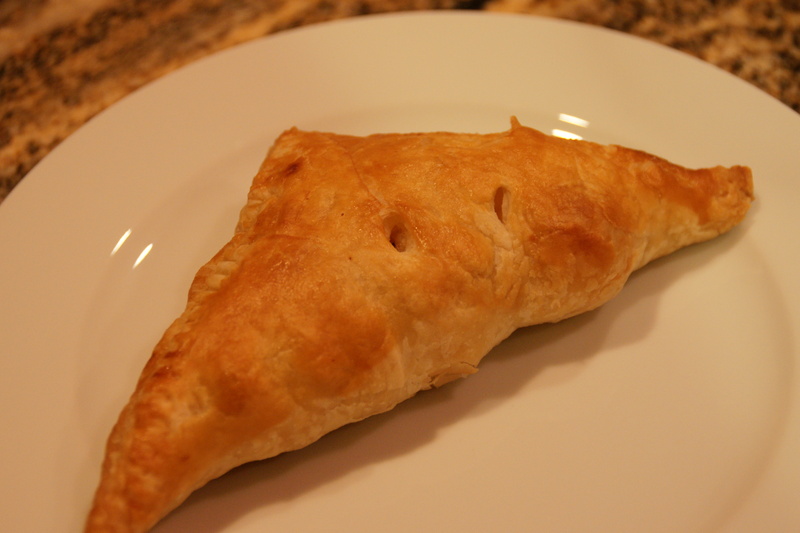 Quick and Easy Apple Turnovers…For Anytime! Every morning for the past week, I eye the handful of apples sitting on my counter and wonder if Ken will eat through them before they go bad. I’m always in a dilemma when I purchase apples because I buy them organic and in one of those big “value” bags. The problem is when Ken decides to take an apple break. I’ll eat a couple apples here and there, but Kurt won’t touch them because he’s paranoid about his teeth (bad teeth genes). I threw an apple into Ken’s lunch bag today and realized there wasn’t much life left in these fruits. 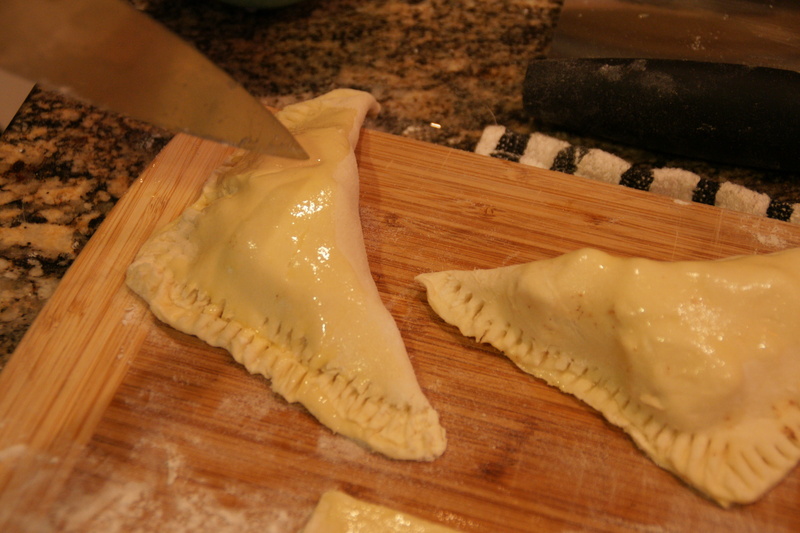 Luckily, I had spotted a half-box of puff pastry in my basement freezer; puff pastry apple turnovers are an easy pastry that can multitask as breakfast, dessert or an afternoon snack. 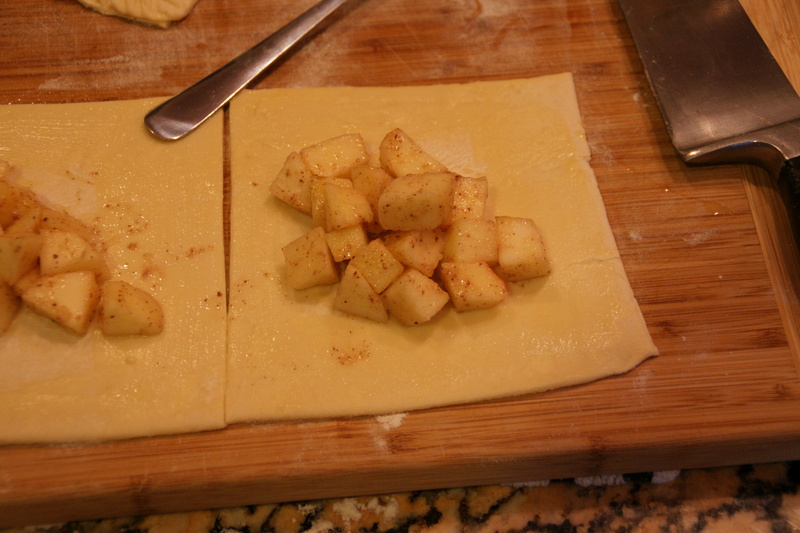 Even though I could only make four turnovers with a single sheet of pastry, that would still use up a few apples! 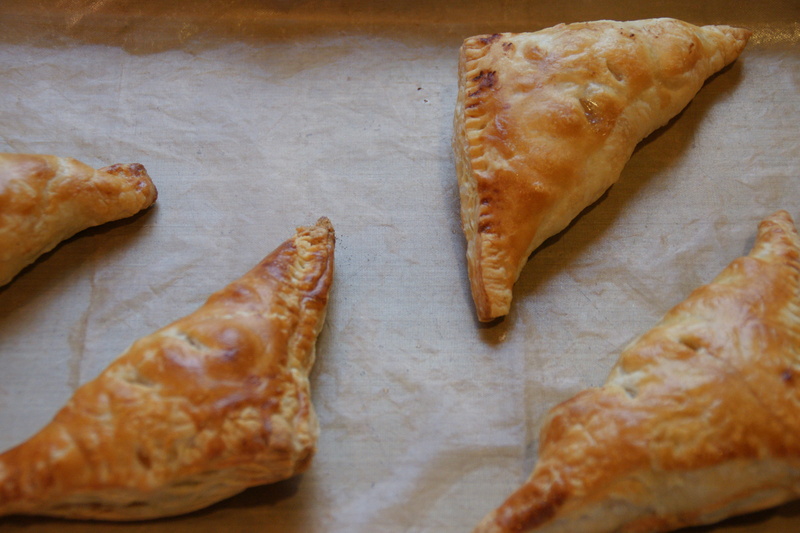 The turnovers are easy to assemble; you make up an apple filling, roll the pastry out and cut it into four squares, fill the pastry with the apples, seal the turnovers and bake. Today it’s rainy and cold outside, so I have my sous-chef Ken with me this afternoon! Preheat the oven to 400 degrees. Line a baking sheet with parchment. 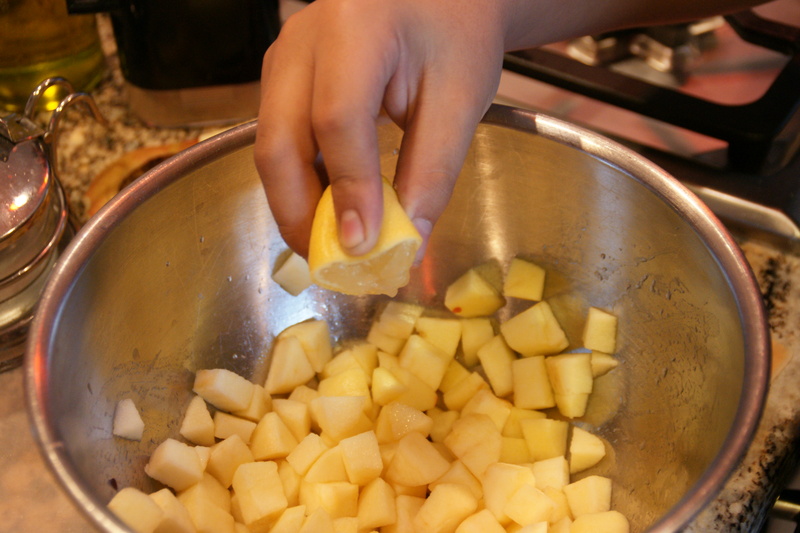 In a bowl, toss the apples with the lemon juice. Ken has chubby fingers just like his mom! You may need more sugar, depending on taste. the sprinkle on the flour and toss again. Set aside while you prepare the puff pastry. 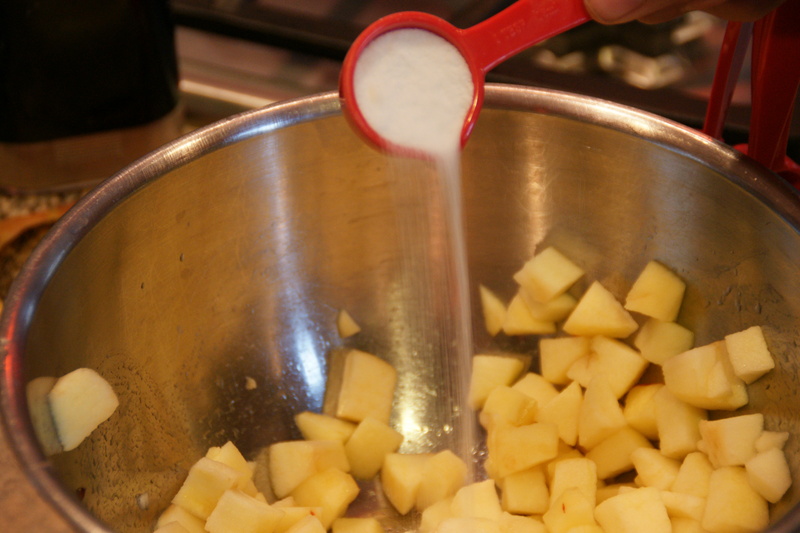 The flour will absorb any juice so your filling doesn’t ruin the pastry! 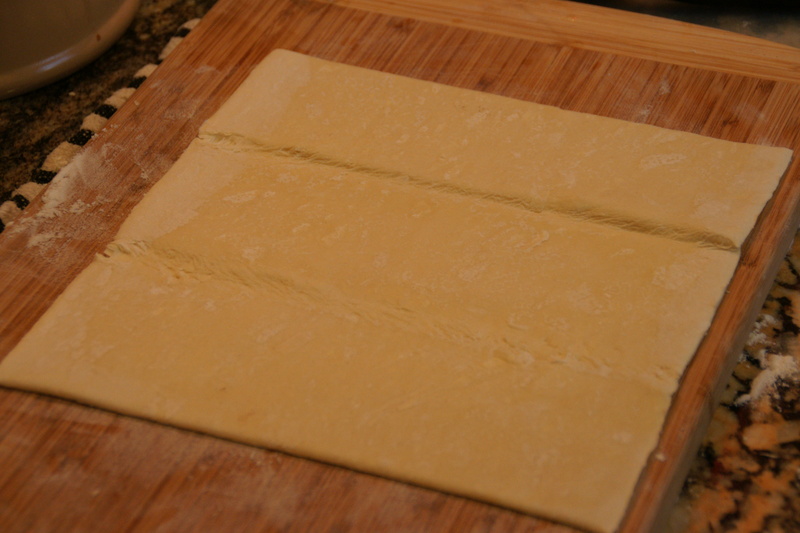 On a floured board, unfold the defrosted puff pastry and with a floured rolling pin, roll to approximately a 12 x 12 inch square. (Wiggle the pastry around to make sure it doesn’t stick to the board). Work quickly; you don’t want the pastry to get too warm (refrigerate if necessary)! 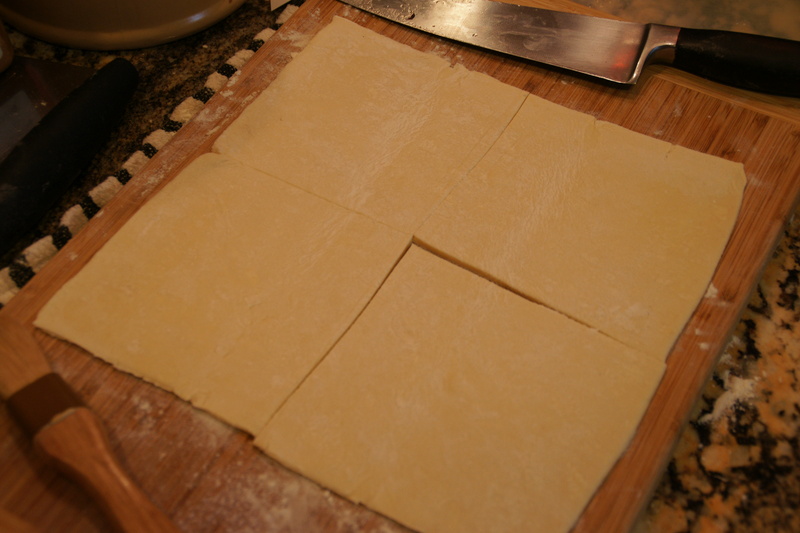 Cut the pastry into 4 squares. 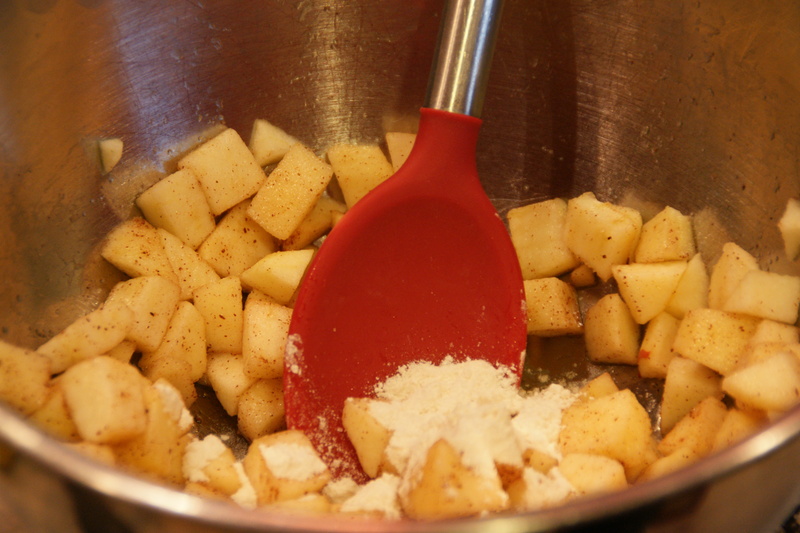 Brush egg wash along the edges of each square, and place about 1/4 c of the apple filling on each. 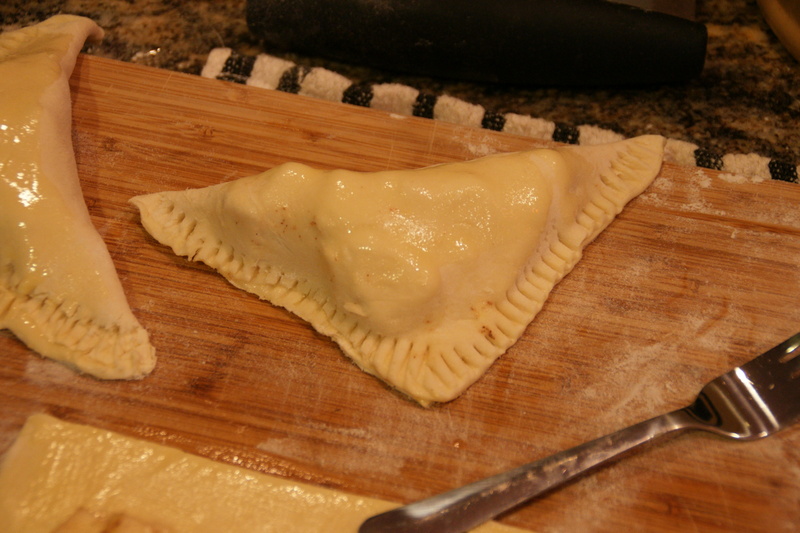 You can try to “shape” the filling so it fits the turnover. Fold the square on the diagonal, forming a triangle. You may have to stretch the dough a bit or remove some filling. Press around the edges with a fork. I always seal with a fork, but you can just press with your fingers. Bush tops with egg wash and make 2 small slits in each tart to allow steam to escape. Cut vents to allow steam to escape and pastry will rise! Place on the lined baking sheet. 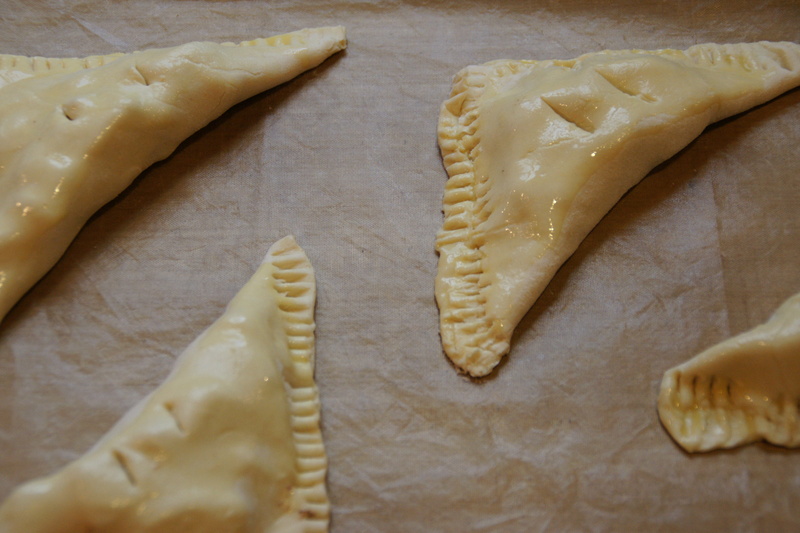 Bake for 15 to 20 minutes until pastry is brown and puffed. We could see the juice from the apples bubbling through the vents on top! Sous-chef Ken did a great job! Layers of light crisp pastry around a not-too-sweet apple filling– fresh from the oven. How good is that?